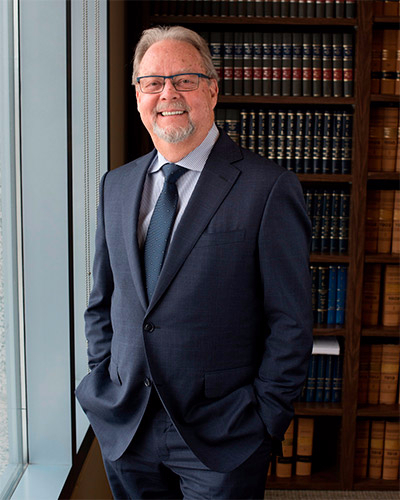 Bruce has more than 30 years' experience as a solicitor practicing primarily in the areas of corporate commercial law, including mergers and acquisitions; wills and estates; and real estate, both commercial and residential. Bruce Lackenbauer graduated from Osgoode Hall Law School in 1976 and was called to the Bar in 1978. He immediately established a practice in partnership with Greg Hertzberger in the City of Kitchener. In 1988 the firm of Lackenbauer, Hertzberger merged with Lochead, Sills which is now known as Madorin, Snyder LLP. Mr. Lackenbauer practices primarily corporate and commercial law including buying and selling of businesses, incorporations, and corporate finance. Mr. Lackenbauer also does considerable municipal and development work and is a former Chairman of the Committee of Adjustment for the City of Kitchener. He acts for both private and public corporations as well as representing financial institutions in substantial financing activities. As well, Mr. Lackenbauer practices real estate law and handles transactions ranging from individual residential purchases or sales to multi-million dollar commercial transactions. He also has a significant Estates practice. Bruce Lackenbauer believes in giving back to the community as a volunteer in recognition of the comfort and security his family receives from the community. In the past, Mr. Lackenbauer has been a member of the Kitchener Westmount Rotary Club, the local Jaycees, a director of K-W Oktoberfest Inc., a founding director of K-W Arts Council, founding director and past President of Parents Anonymous and a past President and director of The John Howard Society of Waterloo Region. He was formerly an instructor trainer and instructor for the Waterloo Regional Track Three Program (teaching disabled individuals to ski) and a director of the Waterloo-Wellington Flying Club.